What is BLS*Driverrestore.com in my credit card details? (BLS) BlueSnap is one of the easiest platforms for eCommerce payments and well known for its more secure and reliable payment processes for global businesses. We are providing the safest and speedy transaction method for our Driver Restore Customers via Bluesnap. Driver Restore is sold via SecureWebPayments, a payment processor that uses BlueSnap as a payment gateway to ensure payments. As such there is no direct relation between Driver Restore and BlueSnap. Its almost like a product, merchant and bank relation. Every transaction will ask for Credit Card details and after a transaction is done, we will send a confirmation email to the user providing Credit Card charges and Credit Card statement. A user can easily know about his order, purchases, cancelled orders, credit card billing, and other information by simply creating an account on Driver Restore website. What Is BLS*DriverRestore9258923044 on my credit card statement? BLS*DriverRestore9258923044 on your credit card statement means that the payment at the backend is processed via BlueSnap. BlueSnap is the leading customer-centric payment gateway to process Credit Card transactions in a more sophisticated and secure way. BlueSnap with its advanced payment technology has improved customer’s experiences to a large extent by giving an easy method to make payments via all types of credit cards. BlueSnap is a multilingual company supporting clients from all over the world and accepts multiple currencies to make purchases. 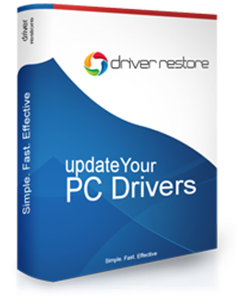 Driver Restore is a driver updater tool that provides one of the fastest and simplest ways to keep the drivers present in your computer updated. Driver Restore provides an advanced scanning of your computer and update the drivers for efficient working of the system. To update or download the latest versions of the Windows drivers needed for your PC. Do you have a billing question or require customer or technical support? To get quick response use the following support form or contact our support.